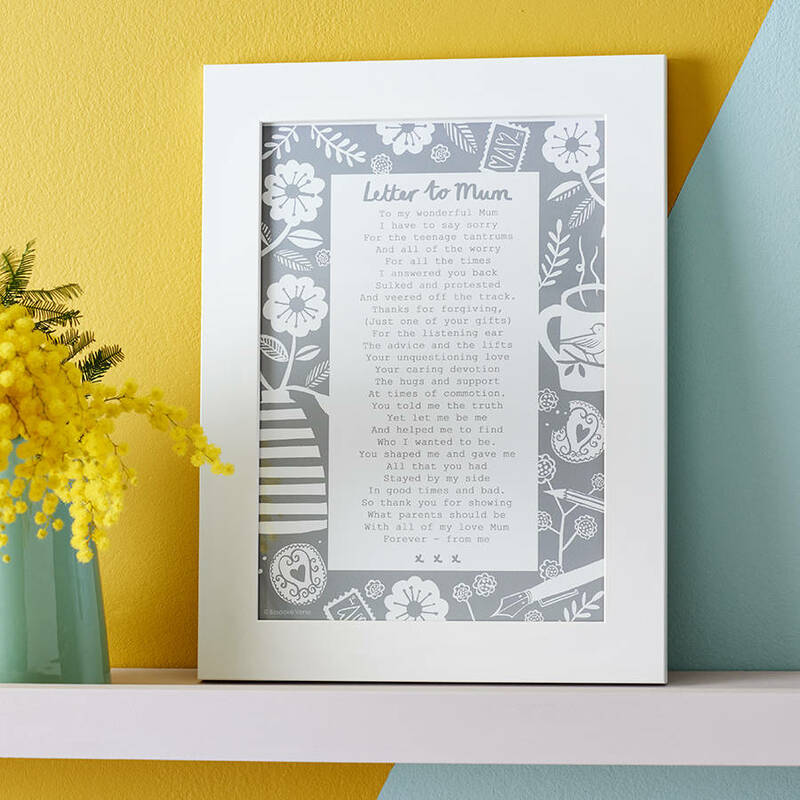 This personalised mum poem makes an unforgettable present for mum for Mother's Day, christmas or mum's birthday. Available as MUM, MOM and MAM in the title. With matching 'Letter to Dad', 'Letter to Grandparents' etc. See 'Seller's Other Items'. Our mum poem was written by Bespoke Verse poet Joanna Miller. The design is by Stephanie Cole. The personalised mum poem comes unframed, but we'd be happy to frame it for you. See below for information. You can have the word MOM or MAM in the title (NB not changed in the poem) if you prefer. Two colours are available: Grey & White, Mustard & Grey. Each print has a 2mm white border. And veered off the track. 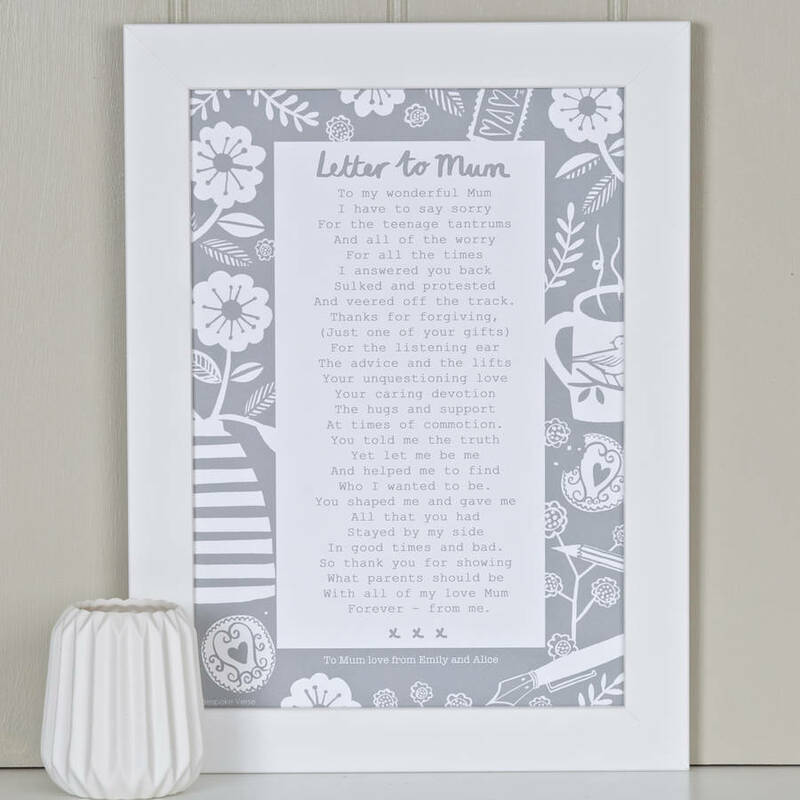 The personalised mum poem is printed onto the highest quality white A4 card (250gsm) using Dura-Bright waterproof ink. There is no mount around the print. 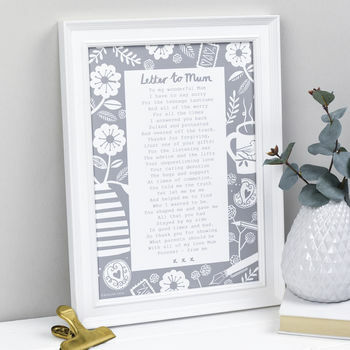 Each Mum birthday gift print is lovingly produced to order. Unframed mum prints arrive flat, wrapped in cellophane, in a super stiff envelope. Each frame is hand finished in the UK. The product is dispatched in a purpose-made picture box. 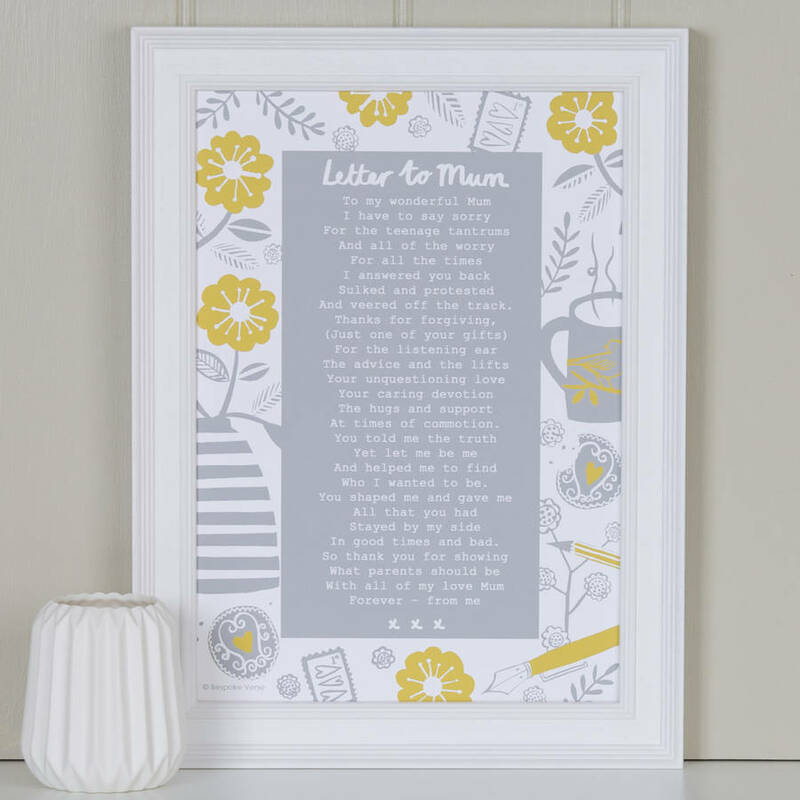 The letter to mum poem print is H30 x W21cm (A4) and when framed is approx H33 x W24 x D3cm.